The Mariners have one of the gem stadiums in all of baseball right now. It is too bad the team on the field has not been that great – in what has been a brutal decade. The club sees thousands of fans yearly heading down from B.C. Canada. If you don;t know the rules and have a game plan, it can be a grueling and costly trip. We are here to help arm you with the best economical way how to arrive there, with savings to time and effort. In the next two weeks, I will write a guide for travelers going from the Border to Washington State (via White Rock B.C.) – to also going to a multitude of parks from 2 different crossing (via Ontario: Sarnia or Niagara Falls). As a Canadian myself, I have pulled off these maneuvers dozens of time. There is an art to it. Today we are going to talk about heading down to Seattle. This is your travel guide to Seattle from Vancouver. 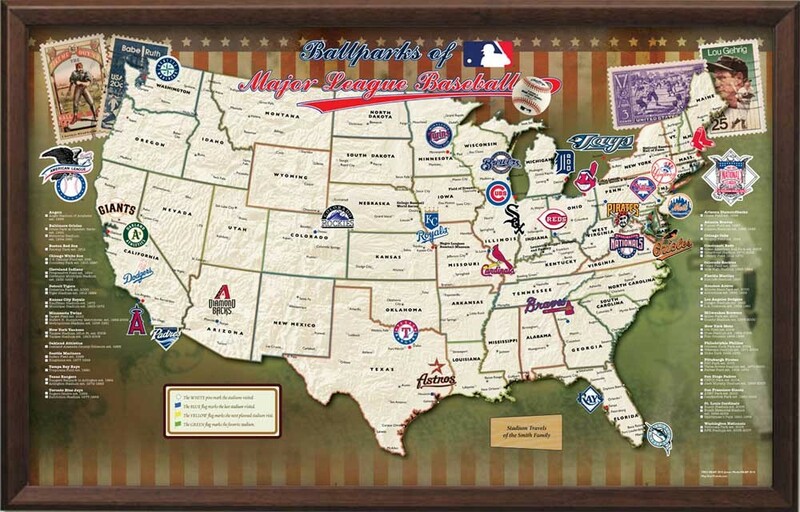 While this is helpful, visit http://www.ballparkchasers.com (Safeco Field) Chaser Guide to add to your knowledge. The 1st thing you need to know about making this trek, is there is only one Highway to plow through your journey (I – 5 South). 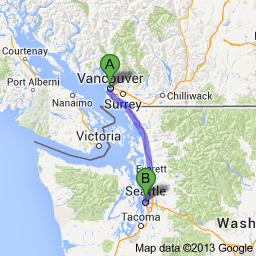 Once you are into U.S soil, technically you are about 112 Miles from Safeco Field. Seattle is not doing very well these days at the turnstiles. The only games that see a spike in attendance are every game that Felix Hernandez plays – or whenever they play the Toronto Blue Jays, New York Yankees or the Boston Red Sox. Your best option to buy tickets: Stubhub.com. You can generally see prices slashed 30 – 40% from face value for the game, weeks to days before the contest. I am a big fan of buying the cheapest ticket possible and watching the game from the standing benches the park possesses – all around the 1st level concourse. the view to the field of action can be seen from anywhere there. 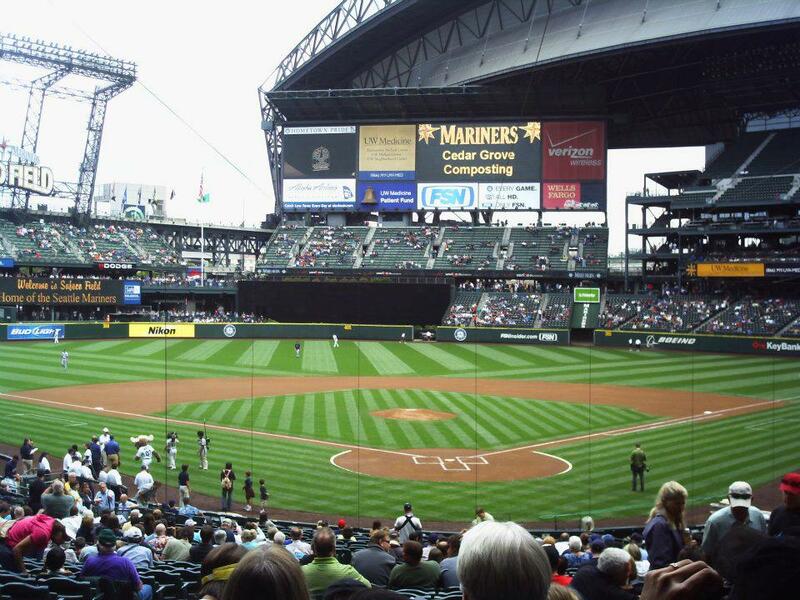 Safeco Field is one of the finest architect marvels for this aspect. The key, like with every other ballparks, is to arrive early. Navigating the 99 Border or 176. If you find yourself driving down the I – 5 from Canada during the summer, I advise you to make a night crossing – or at the least, try to make it through by 7 AM local time. Either crossing has about the same time frame to get through, however 176th street (Truck Crossing) is better suited for people who do not decide to enter the USA either at night or the morning. To bypass a lengthy lineup, drive down 8th Avenue from either King George Highway, or 176th Street, depending on whether you are headed East or West and turn South down 172 Street (Right beside a farm called the Border Feed Lot). Take 172 Street all the way down to 2nd Avenue – before turning Left. Eventually you will end up at the last street light before the border. This is a handy tool in order to merge into the traffic. A lot of days, the congestion is seen backed up all the way to 8th Avenue, or in some cases 16th Avenue. At the 2nd Avenue turnoff, you may also enter the “Duty Free Shop”, by all means stop in their, and buy just a pack of gum. This can vault you 40 – 50 cars in wait time. If you follow this advice, you can cut your elapsed time from 45 Minutes (from 2 Ave), to no more than 30 Minutes). I would explain that purchasing gas in the States is also extremely superior to Canadian fuel. The best exits for buying gas are exits 266 and 258. Upon entry into Blaine, Washington, you are at Exit 276 (Safeco Field is 165 Exit). The exit 266 contains an ARCO gas station that is frequently .20 cents a Gallon cheaper than Blaine. Exit 258 (Bakerview Road) takes you into the town of Bellingham and the Bellis Fair Mall. This is a great place to stop for breakfast, or do some quick shopping, before heading back onto the road. On Meridian Street, there is a Denny’s, Wendy’s, Taco Bell, Walmart (3 Miles East from Bakerview), Burger King, Target and many other shops. Bellingham features some decent lodging opportunities at Best Westerns or any numerous chains of the Accorn brand hotels. (You should be able to stay somewhere for under a $100 a night). For those looking for a bargain, there is a Super 8 Motel at exit 262 (with about a $60 a night charge). Once you leave the Bellingham area, the next point of interest is the Burlington Outlet Malls at Exit 229. For anyone that wants to stop for designer clothing and so forth. After 229 Exit, the next best destination is Exit 200: Seattle Premium Outlet Mall (which features the Tulalip Casino). For your best dining needs for hungry people, I urge you to conquer your hunger at the Tulalip Casino restaurant. Whether it is Lunch or Dinner, they offer an impressive buffet of outstanding food for about $17 a head. ($11 for Breakfast before 10 AM). Another option to save 10% off of that bill each is to fill out for Casino Rewards Points Program, that will take you about 2 minutes to complete at guest services. If you still have a hankering for pizza, Little Caesars is on the East Side of HWY 5 South, in the town of Marysville. It is located here. At exit 200, you are in the final stretch of your drive down to Safeco Field. One other opportunity for dining at a ‘must see destination,’ is a place that was featured on MAN vs FOOD www.redmillburgers.com . This place has awesome burgers! Just know that there is limited parking. the place is only 6 miles from the ballyard. The alley runs about 2 miles of length – and is free to park. If that is not possible, parking costs are decent if you stay South of S.Holgate Street. Just a note: The police barricade the streets off of 1st ave North Of S.Holgate, and it is horrible to navigate back to I – 5 when this happens. S. Holgate heading East enables you to follow signs back onto the I – 5 in either direction. After parking, if you still have not eaten. You should mosey on down to the Pyramid Ale House – adjacent to the Ballpark. This place has a magnitude of beer on pint. Along the way towards the park, they are several street vendors cooking hot dogs, selling water. Safeco Field is a decent place for food, but I don’t advise anything as being special. Personal exemption amounts from CDN – USA/ USA – CAN return trips courtesy of CBSA here. The length of your absence from Canada determines the amount of goods you can bring back, without paying any duties. up to CAN $200 Alcohol and tobacco cannot be claimed. Goods must be in your possession at time of entry to Canada. If the value of the goods you have purchased abroad exceeds $200 after a 24 hour absence, duty and taxes are applicable on the entire amount of the imported goods. up to CAN $800 May include alcohol and tobacco products, within the prescribed limits set by provincial or territorial authorities. Goods must be in your possession at time of entry to Canada. Travellers absent for periods of 48 hours or more will have the applicable exemption level credited against the total value of goods. up to CAN $800 May include alcohol and tobacco products, within the prescribed limits set by provincial or territorial authorities. For the seven-day exemption, goods may be in your possession at time of entry to Canada but are also permitted to follow entry to Canada (such as via courier, mail or delivery agency), except alcohol and tobacco products, which must be in your possession. All the goods will qualify for duty- and tax-free entry if they are declared at the initial return to Canada. For more information, consult I Declare. Up to 8.5 litres Up to 287 fluid ounces Approximately 24, 355 ml cans or bottles of beer or ale. *We remind all travellers that while bottle sizes vary, the amounts listed are firm. You must be of legal age in the province of importation. While you are permitted to import alcoholic beverages in excess of the amounts listed above, we remind all travellers that they will be responsible for paying duty and taxes on the additional alcoholic beverages they are importing. For further details on bringing back alcohol, consult I Declare. 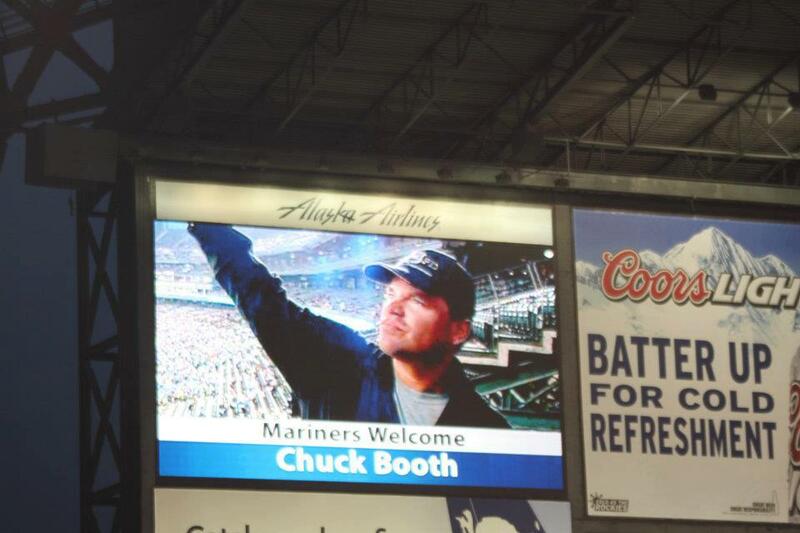 A nice thing the Mariners did for me – while I was there for my Record Breaking Streak Chase last year. The M’s front office is classy, is involved heavily with Social Media, while the park is one of the better values of the Major Leagues. Posted on September 2, 2013, in The Rest: Everything Baseball and tagged 176th truck crossing Blaine, 99 douglas crossing border, alcohol and tobacco exemptions Canadians coming back from USA, arco gas, ballparkchasers.com, bellis fair mall, best Gas prices bellingham, best Gas prices blaine, best Gas prices ferndale, Best Western Hotel, boston red sox, Burlington Outlet mall, cbsa, Chuck Booth. fastest 30 ballgames, Cost Cutter, Denny's, krispy kreme doughnuts, Little Caesars Pizza, new york yankees, Niagara Falls, pyramid ale house, red mill burgers', safeco field, seattle, seattle mariners, seattle premium outlet mall, stubhub.com, Super 8 Motel, toronto blue jays, travel, tulalip casino, twitter @chuckbooth3024, USA, usa - canada border exemptions daily, usa - canada border exemptions weekly, Walmart, Wendy's, www.redmillburgers.com. Bookmark the permalink. Leave a comment.